Complete crossword levels and collect quilts as you go. 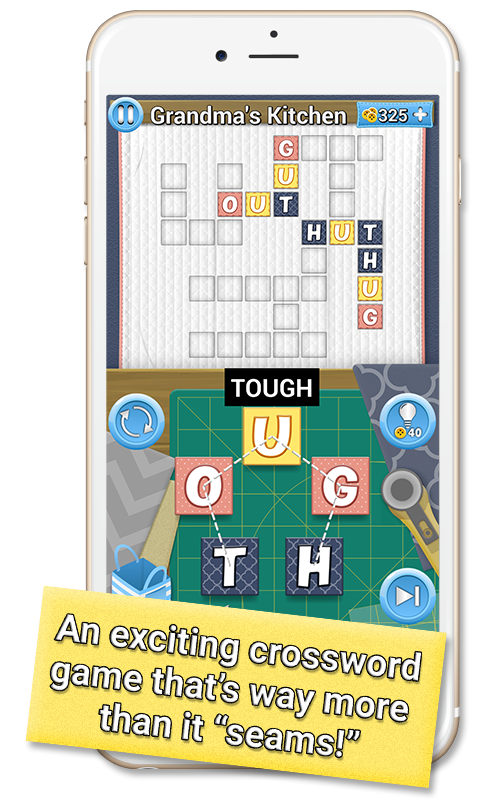 Sewing and crochet are the world’s most popular hobby, and now it’s in lovable word game form on your phone! Connect words to complete levels and earn tickets for mini games. This is an awesome puzzle game that combines funny cartoons and words. Connect words to complete levels and earn coins. This game will connect your puzzle loving brain to your poop joke loving brain.